I have history with the Abha Light Foundation. I first criticised them three years ago when I wrote about a UK homeopath, Julia Wilson, who had joined Abha Light in Kenya – an organisation that sells a homeopathic product called MalariX. This sugar pill is used to treat and prevent malaria. It does not work – it is a simple sugar pill with no active ingredient. As such, encouraging people to use this deceptive treatment puts them at great risk from a deadly disease. I made a complaint to the Society of Homeopaths about what I thought was their member acting irresponsibly. 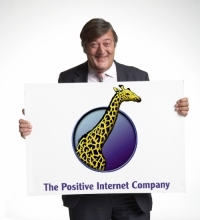 They whitewashed the complaint and instructed their lawyers to get my web hosts to close me down with libel threats. When I asked the Society for an explanation, their lawyer told me to back off – this was between the Society and my web hosts. The Society of Homeopaths failed to shut me up. They also failed to uphold their own code of ethics. They issued misleading press releases about their attempts to investigate complaints. They told their own members to not make claims in public that they would make to customers in private. I have good news from Abha Light to share with you. It’s about our landmark research project in malaria. I’m sending this email out only to certain friends of Abha Light. I have a special request, however. While I’d be happy for you to share this news with your close friends when you meet them, PLEASE DO NOT post it on the web – not by email, nor facebook, twitter, etc, not on your blog site or web pages. There are selfish-interests who will go to any lengths to disrupt this effort… and I hope you don’t help them inadvertently! Given the danger that people will be exposed to because of these deluded quack’s activities, I feel I must ensure that I break that ‘special request’ and help to ‘disrupt this effort’. Saturday July 10th was a great day for us, as over 300 people crowded into the remote community clinic to sign up for the Abha Light Malaria Prevention Research project. It has been a bit of a struggle to get to this momentous day, but we did it. Let me go back a bit and I’ll tell you the story. Even though we’ve been using in our clinics and mobiles our homeopathic malaria complex (MalariX) for these last 10 years to not only treat, but also prevent, malaria, we never have been able to track the results simply because it takes money. In the beginning of 2009, however, we were given a generous donation and I was able to put that towards two things – registration of the product with the Kenyan Pharmacy and Poisons Board (the Kenyan equivalent of the FDA) and initiate the steps to pull together a proper study on the product. It took us nearly a year to complete all the steps necessary to pass all the requirements needed for government approval to conduct a research and get the product registered. By then, we had the permissions to go ahead and a partnership with a private hospital, but the money had run dry. So we were stalled. Who is “we”, you ask? Well, myself of course, and -allow me to introduce you to- Shem Ochieng, our good friend and lead researcher. Shem has been our college instructor in health sciences all these years. Besides that, he’s eminently qualified to conduct a research, being that is his line of work with a major university in Kenya. Then one great friend of Abha Light introduced me to her colleague who is very interested in this type of thing and the next thing we knew, we’re off and away. By April 2010 she and her colleague had raised through major donors £17,000 pounds to get the research underway. By April 2010, too, the final green light was given by the Ministry of Health to go ahead with the research. In May we pulled many things together and with full speed returned back to the original private hospital to kick things off. Only when we got there with our bag and baggage, we find that the newly-changed administration had decided to decline our partnership and we left that place within the hour of our arrival. Well, now we’re a mad hunt to find a new venue. What a drag to be set back like this. The location and efficiency of that hospital would have assured us of a well documented and large field of volunteer subjects in a remote and high-risk malarial area. But another friend of Abha Light came through, and in another remote village of Kenya, in a district that, indeed, rates among the highest infectious areas of the country, we found a place in the government dispensery. And so we were on 10 July registering admist chaos and organized disorganization as over 300 people poured into the clinic to join our research project. All had to be tested, all had to be registered. There was hardly a way to predict all the glitches we faced that day – the second microscope couldn’t work and we had call in a local guy just to bring us a screwdriver, and even then we couldn’t get it to work, the assigned clinical officer begged off for the day and we were stuck until another was found and generously gave his time, the pharmacy ran out of conventional malaria medicine and we had to send for more, the electricity went off but luckily I had foreseen that one and we had a solar lamp for the one functioning microscope to use. And the crowds! Everywhere people were clamoring to register. Like all villages, here too, the hopes to be malaria-free and, no less, the incentive we’re paying, is significant enough to bring in a lot of people. Well, we found only one or two persons who came who never get malaria, and needed to send him home as a result! In fact over 50% who came were currently infected with malaria. That means we are assured that the database will be authentic in that this is a highly infected area. According to the rules of our study, we must first treat them with the current conventional medicine approved by the MoH (which, an insider in government research tells me, is already failing after only 2 years in the market), then they will be started on our prevention medicine. We have a great team for this project – including an advisor from KEMRI (the government research body), another from a malaria research body, and several other experts to ensure that we have a high standard of quality and controls. It will be a few months until we begin to see the results of this project. So we wait for developments. In addition to the prevention study, we are also going to undertake a treatment study from our own clinics by bringing back the patients for a followup test. We hope to include about 200 patients. Every month at our various clinics in Kenya we normally see about 150-250 patients for malaria treatment alone. It is from these patients who already come for treatment to our clinics that we will be able to draw conclusive data on treatment. Ruchira then goes on to ask for money to help in this badly misconceived venture. It is deeply unethical to subject people to a highly implausible and disproven treatment for a dangerous disease in a trial conducted by people with deluded and dangerous beliefs. The failure of the homeopathic community to stamp out these practices is, perhaps, the main reason why homeopathy is under such intense scrutiny and attack. People will die as a result of the practices of the Abha Light Foundation and if the Kenyan authorities are in any way helping with this programme then they are being badly misled and are failing ordinary poor Kenyans terribly. I can find no mention on the website of the Kenyan Pharmacy and Poisons Board of the registration of any homeopathic product or their involvement with Abha Light. Indeed, the Board is quite clear its policy towards malaria treatment. The National Malaria Treatment Policy forbids all antimalarial medicines not complying with their recommendations. It would probably be wise for a few people to write a short email to the Board expressing their concerns about Abha Light. Who is Didi Ananda Ruchira? 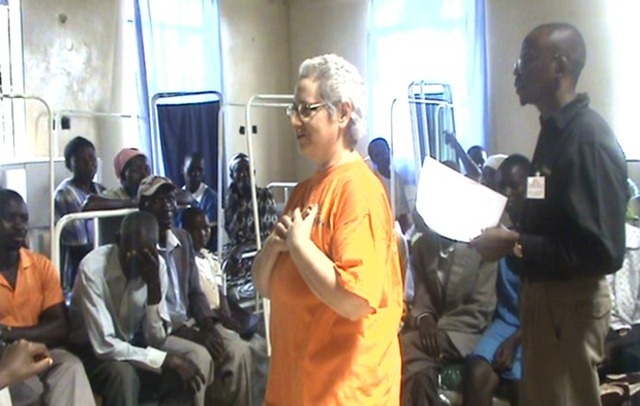 Didi Ananda Ruchira, an American previously known as Barbara Lynne, came to Kenya in 1998 to set up a homeopathy clinic. 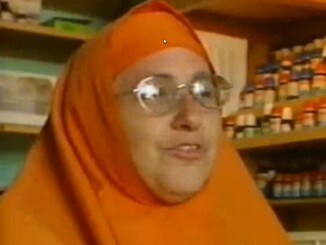 She describes herself as a yogic nun and wears corresponding orange robes. Whilst one may not doubt her desire to do good, her beliefs are deeply delusional and pose a great threat to those she wishes to help. From my field experience with suppressed malaria and quinine-type drug side-effects, I predict a rise in epileptic cases and childhood mental retardation as a result of malarial suppression through vaccination. It is important that we are prepared for this new onslaught on the health of our populations and also that we have a homeopathic reply in prophylaxis. The wealth to be made from health care of the one billion population of the continent, is as lucrative as the blood diamonds, oil and minerals being sucked from African soil to supply the luxuries of the industrialized countries. Big Pharma and multi-nationals know that while the populations of African countries are 60% below the poverty line, the governments of African countries are rich, rich, rich. Seeing as I do the side-effects of suppressed malaria and quinine poisoning, including quinine-like drugs, allows me to predict that the upcoming malaria vaccine will bring new hells to the African population. Didi Ananda Ruchira is training Africans to hold these beliefs. Quite simply, she is a woman who needs to be stopped. As it is, in my own correspondence with my UK and USA homeopath colleagues, I’m advised to tread carefully and silently about malaria. The skeptics have them on the run in UK and we had better not shout too much of our successes. A bit odd, but that is the way to fight a battle sometimes. There is much going on that, sadly, I won’t report here. I will not give cannon fodder to Big Pharma and skeptics to continue attacking the homeopathic pioneers working in Africa. But I will say, that homeopathy is spreading steadily into the countries of Africa. I get many reports from all over the continent. In Kenya, for example, people are increasingly fed up with the side-effects and uselessness of Big Pharma’s drugs. Homeopathy is gaining in popularity because it’s making strides in the fields of HIV, Malaria, TB, epidemic diseases and tropical diseases. Please, dear reader, just because UK homeopaths have decided it’s presently strategic to keep silent on Malaria, HIV and TB, doesn’t mean that we in Africa have stopped work in these fields. We are just working quietly, that’s all. I am pleased to be doing my bit to be making a little more noise about this. I used to think that homeopaths had not worked out that if they tried to stop the use of homeopathy in these most dangerous extremes then the criticism of them, and the threat to their businesses, would subside. The sceptics in the UK do not spend anything like the effort on other superstitious medicines such as reiki or reflexology. One reason is that such practices do not make universal claims to cure all and do not hold fundamental beliefs that mainstream medicine is evil. However, homeopaths are very aware of the weak spots that their African practices expose. But the idea that homeopathy can treat malaria is at the beginning of their credo. (It was the first treatment ‘discovered’ by Hahnemann.) Their whole world view is based on a dichotomy of “good homeopathy” and “corrupt and harmful allopathy”. No amount of reason will change these religious views. I am not a banner. I can easily imaging homeopaths practicing responsibly, with circumspection and humility. But whilst it is impossible to engage in the most serious concerns about what they do, whilst they disregard all aspects of medical ethics and ignore the science and evidence, and whilst they wallow in child-like conspiracy theories, I see no option but to use the law to prosecute them and stop them. Deportations and criminal records are the only way forward. I hope the Kenyan authorities wake up to what is going on soon. Abha Light Foundation: Funded through Violent Cult. Excellent post – thought provoking and terrifying. The kind of thing that needs to be seen by those people who see homeopathy as OK because it’s just a ‘nice chat and a placebo’. As far as I can tell Shem Ochieng is a lab technician at the Kenyatta University. Some lab technicians are very good but it would be unusual for a lab tech to lead what is effectively a drug trial. Kenyan law says that drug trials that are funded by foreign agencies should be subject to ethical review in the country of origin. No ERB in a western country would approve such a trial. At least they acknowledge that the stuff they’ve been dispensing for the past 10 years to prevent & treat a fatal disease hasn’t been properly studied. If in the 10 years of having dispensed the stuff they have not followed up even a few cases, how can they possibly claim to have successfully treated anyone? They simply do not have any data to make any treatment claims. Trials in Africa are also often difficult to assess as many of the participants will not just stick to one treatment, but try multiple approaches if there is no apparent relief from the start. So even if AbhaLight have ‘paid a significant incentive’ to the participants, it is still unlikely that all the participants will stick to the trial conditions and thus confound any outcomes. I find this quote odd. It’s as though she thinks that travellers in the UK couldn’t possibly be going to places such as tropical Africa where there is malaria but only travelling round the UK. Perhaps there was more to it than meets the eye. Remember, the trials will not be done to answer any clinical question. Homeopaths already know their pills work. The purpose of the trial is for propoganda – to produce data, no matter how shoddy, to convince others to fund them. If by some miracle, the trial is well designed and comes out negative, do you think for a moment that results will a) see the light of day, and b) force homeopaths to stop what they are doing? You mean like pharmaceutical companies do? Not the best argument to make!! Yes, I do understand that, but I don’t see how such a shoddy trial with limited awareness of the local culture could convince any investor to part with their money! I suppose there are people who will donate without thinking; hopefully, they will only be few in number. Can malarial mosquitoes breed in open containers of magic water^W^W homeopathic remedies? I wonder how much the Abha Light foundation promotes the continued use of ITNs/LLINs? Kenya hopes to eliminate malaria by 2017, a malaria conference heard last week. The disease has been in decline in the country in recent years and scientists say they are optimistic that it can be eliminated by then. The goal was announced by Beth Mugo, minister of public health and sanitation, at the opening of last week’s 5th MIM Pan African Malaria conference in Nairobi. Implementation will be steered by a National Malaria Strategy (NMS), which the government launched at a separate event. “We are at a point of moving towards a malaria-free Kenya in 2017,” said Willis Akhwale, head of the country’s Department of Disease Control and Prevention. “Health systems strengthening, the development of effective medicines, human resources capacity building and more will be necessary to achieve this,” said Mugo. “Eliminating malaria in 2017 is possible based on current technologies and adequate funding,” said Elizabeth Juma, head of the Division of Malaria Control. The timeline is based on the findings of a 2007 Malaria Indicator Survey, which demonstrated that transmission is declining in most parts of the country — although seasonal transmission in arid and semi-arid areas is still at worrying levels. “We plan to change the strategy of intervention in the arid and semi-arid areas and launch a mass drug administration campaign in areas where the disease is endemic,” said Akhwale. Experts told the MIM meeting that elimination was not possible without mass drug administration. Elimination occurs when malaria prevalence drops to zero in a region, while eradication achieves the same on a global scale. Some 13 per cent of pregnant women in Kenya now use insecticide treated nets (ITNs) in all malaria endemic areas, according to the 2007 survey. The number of children aged five and under using ITNs rose from under five per cent in 2003 to more than half in 2006. Robert Newman, director of the WHO’s Global Malaria Programme, said he was confident that Kenya would meet the 2017 target but he added that success depended on improved political will as well as the development of new tools to improve disease surveillance. It was also essential for communities to realise that they are “not just recipients of drugs but they play an important part in the fight against malaria”, he said. Akhwale said Kenya would need US$100 million if it were to meet the target. NMS plans to decentralise control and to prioritise monitoring and evaluation. The same text that you “leaked” above. No ethical worries. I wonder if the funding that the Abha Foundation was able to secure recently isn’t directly related to the abovementioned developments. After all, if the Kenyans are really able to prevail in their struggle against malaria, the homoeopaths on the ground are surely going to claim the success as their own. If I were in the business of peddling water and sugar pills, I’d see any money given to the Abha Foundation as a great long-term investment. There is an email in this webpage from Didi Ananda Ruchira which highlights her disregard for people who have HIV/AIDS. I wonder how these intrepid missionary-quacks manage to avoid getting malaria themselves – and/or what they do when they do get it. In Nairobi, malaria is thought not to be a major problem – it is very high up. Talking of propaganda, results and publishing papers – did the Cuban Leichmanniasis paper ever come out? The initial announcement has to be well over a year ago? So if the study participants are cured how do you know which medicine was successful? How Malaria Has Ruled Humankind for 500,000 Years.By Sonia Shah. Sarah Crichton Books/Farrar, Straus & Giroux. If the tincture is diluted 10^30 or however much and the water is supposed to retain the imprint of the tincture and then you go and put a drop on a sugar pill and dry the water, it seems to me the tincture memory evaporated with the water and the pill is just a sugar pill as it always was. This even by the “logic” of the homeopathic method. ????? Homeopathy works differently. It is wanted that there is nothing in it anymore, the less is in it the better it works. Before disregarding the whole homeopathy there should be some research on this and then there is another thing for me; who heals people has right – if its scientifically prooven or not. Scientists can only find answers to questions they asked. Does anybody asks here for all the witch doctors and clinincs in the slums where people are treating that have never seen any university or homeopathic colllege?